Tom Kelly, Market Manager and Jake Angel of Jake’s Pickup join host Bob Ross in this, the first of the 2016 Tastes of Bainbridge Farmers Market Series. 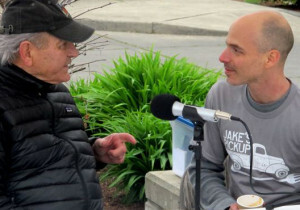 On Saturday, April 9, BCB host Bob Ross talked with Bainbridge Island Farmers Market Manager Tom Kelly. Tom shared his plans for the future and introduced us to some of the new vendors and farmers for our 2016 season. Tom, who is starting his first full season as the Farmers’ Market Manager, talked about his hopes, vision and exciting plans for 2016 Market. Jake Angel of the popular Jake’s Pickup (inside the Chevron station on High School Road near 305) is one of the newest vendors at the market. Jake talked about his background, his family’s influence in his deep involvement in food, and what motivates him on a daily basis. 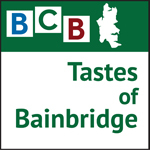 His commitment to offering delicious organic comfort food and using locally sourced and grown ingredients has been the cornerstone of his successful venture on Bainbridge Island. Credits: BCB host: Bob Ross; audio tech/editor: Chris Walker; social media publisher: Diane Walker.